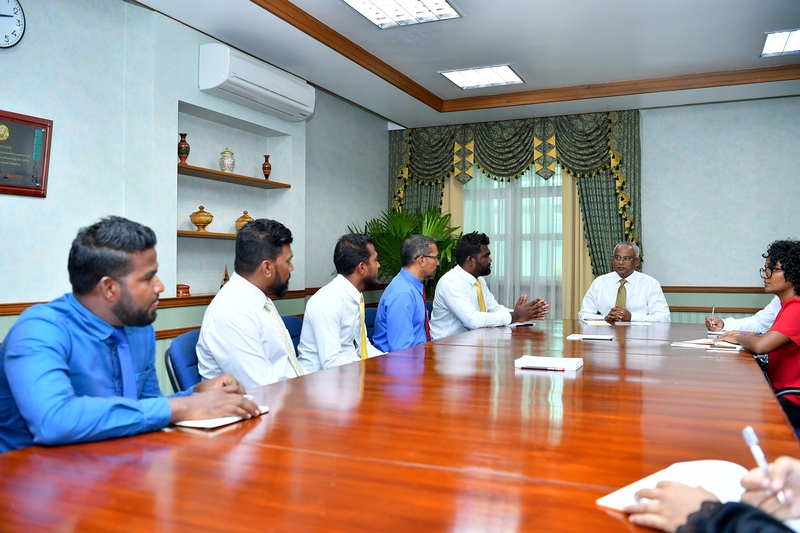 President Ibrahim Mohamed Solih has today met with members of the H Dh. Kumundhoo Island Council. At a meeting held at the President’s Office, members of the council shared their concerns and future development projects with the President. The Councilors especially noted the challenges being faced due to lack of resources, in delivering their services to the people. They also highlighted the need for proper water and sanitation systems to be installed in the island, and the difficulties faced in using the current harbor of the island. 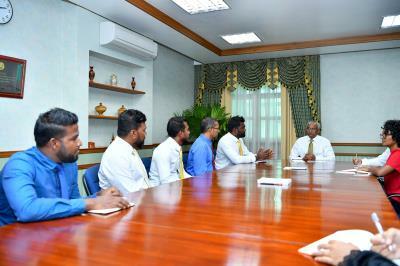 Further speaking, the Kumundhoo Council briefed the President on other areas of concern, including the lack of proper utilities services, shortage of space in the island school, the need for laboratory services to be established at the island’s health centre, and to increase opening hours of the health center to 16 hours per day. Members also highlighted that the residents were looking forward to more tourism activity in the atoll. 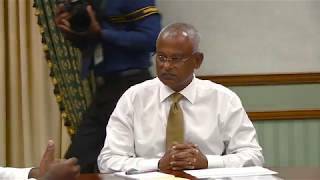 Speaking at the meeting, President Solih stated that it was his aim to meet with all public service institutions and work closely with the people in fulfilling their needs. The President also said that his Cabinet was always ready to resolve the challenges being faced by the Maldivian people. He further informed that all projects allocated in this year’s budget will commence soon.